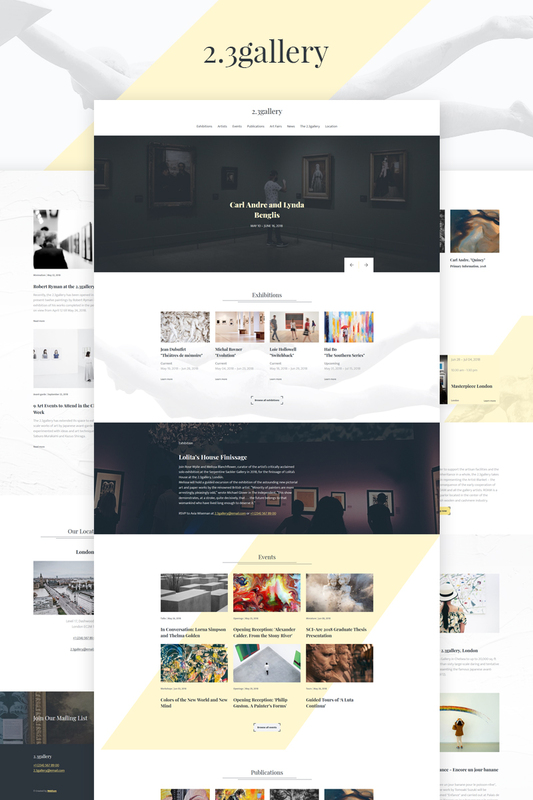 Weblium Art Gallery Website Template is an ideal choice for art galleries, exhibitions, and collections owners who want to showcase original artworks online. We performed an in-depth analysis of over a hundred of top-ranking niche websites and created 11 pages and 42 blocks that cover all your bases. With Weblium, you can create a website for free and without hassle within an hour. You get a feature-rich website builder that allows you to customize, manage, add and remove elements to your liking. No coding experience is required! Simply change a template according to your vision, add various kinds of multimedia content, and enjoy your new stunning website. Sign up and explore the impressive functionality of Weblium Editor to see for yourself whether our platform is the right solution for your project. Our AI Design Supervisor will make certain that your web pages look fantastic whatever modifications you make on the layout. Smart UI Kit will take care of your design needs - change visual themes, fonts, color palettes in just one click! Last but not least, Weblium allows you to Ñreate a website that responds to fit any screen or device size and loads fast - getting an impressive 90-100 score in Google PageSpeed Insights. Everythingâ€™s set to make your dream website a reality!